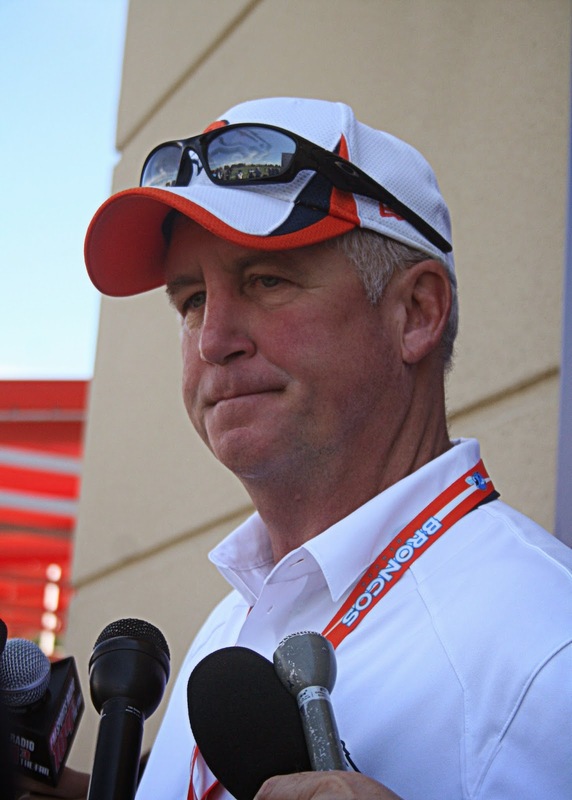 The Denver Broncos announced on Saturday that head coach John Fox has signed a new, three-year contract with the team. The new deal will keep Fox in Denver through the 2016 season. “We are pleased to reach this agreement with John Fox, who has played a key role in the success and improvement of the Broncos during the last three seasons," Broncos general manager John Elway said in a statement. "While our team has made progress each year under Coach Fox, we both understand that there is still work to be done for us to reach our ultimate goal." According to reports, Fox's three-year deal is worth $16.5 million. It's not a lucrative deal—eight NFL coaches earn more than $6 million annually—but it shows that Denver is committed to Fox. With Denver the favorite to win the AFC West again in 2014, Fox is on track to become the first coach in AFC West history since John Madden to win four consecutive division titles. The San Diego Chargers were the last team in the division to claim four straight titles (2006-2009), but that was under two different head coaches—Marty Schottenheimer and Norv Turner. It's been thirty-eight years since Madden led the Oakland Raiders to five consecutive division titles from 1972-1976; no AFC West coach has won more than three-straight since then. Fox is primed to be the first, owning a 34-14 record with the Broncos, including a 26-6 mark over the last two seasons. Denver is hoping the third time will be the charm for Fox, who has reached two Super Bowls—XXXIII with the Panthers in 2004 and XLVIII with the Broncos in 2014—in the last decade. Fox is just the sixth coach in NFL history to have led two different teams to a Super Bowl. The Broncos last Super Bowl victory came in 1999 when then-quarterback Elway led the team to a 34-19 victory over the Atlanta Falcons in Super Bowl XXXIII. Mike Shanahan was Denver's coach at the time.